The enthusiasm over influencer marketplaces has waned in the last year, with many brands choosing instead to take a more methodical, data-driven approach. Marketplaces tend to get branded as a kind of “wild west,” where campaign briefs are broadcast out to a community of thousands of influencers who then compete with each other for a spot on the roster. That approach might have helped marketers, as influencers will often race to the bottom on price. But it also tended to hurt marketers, as well, because you often get what you pay for. Ifluenz, which has been around 2015, is a marketplace that’s aiming higher. Their chief differentiator is that the vetting process doesn’t stop once an influencer has been accepted onto the platform. 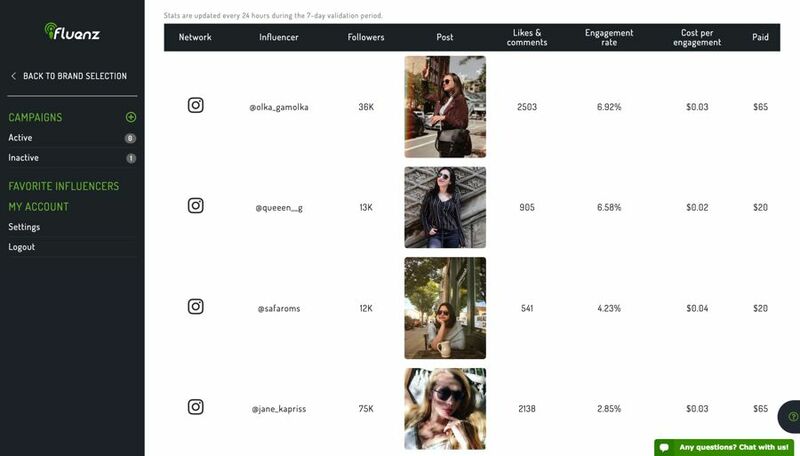 Built in to the platform is an algorithm that monitors each influencer account to look for irregularities—like sudden spikes in followers and engagement—that could be indicators of fraud. They’re also monitoring for conflicts of interest and just plain greediness: if an influencer is taking on too many projects that dilutes their—and the platform’s—value, and they run the risk of getting booted from Ifluenz entirely. 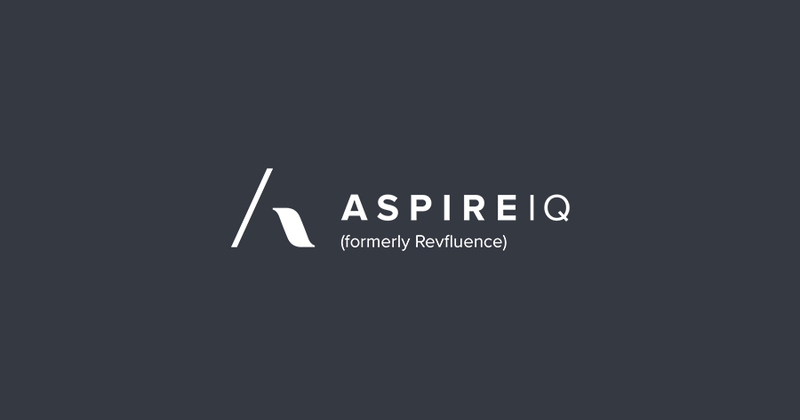 The algorithm is backed up by a team of real people, a team whose mission is to make sure the platform plays host to real influencers with real audiences that are actually engaged. Because this is all behind-the-scenes stuff, it’s not something that’s readily apparent to users. Anyone that’s used a marketplace service before will find a lot of familiar things in the use of the software. The established marketplace cycle of “Post a Campaign Brief -> Receive Proposals -> Negotiate -> Agree to Terms -> Publish Content -> Pay” looks the same here as it does elsewhere. Well, not entirely the same: Ifluenz does have one of the cleaner, more attractive interfaces I’ve seen. While the service itself doesn’t break any new ground, it’s that user interface that highlights Ifluenz’s greatest selling point: it’s something that small businesses can use. The platform really streamlines the campaign process, and eliminates a lot of the overwhelming clutter and confusion caused by marketplaces that weren’t as thoughtfully designed. Ifluenz was designed so that it could be used by absolute beginners with as small a learning curve as possible. It was also designed to appeal to big companies, too, though as you’ll see in this review there isn’t much for them here—not for the self-service platform, anyway. Ifluenz does offer managed services for bigger companies with bigger budgets, though that falls outside the scope of this review. 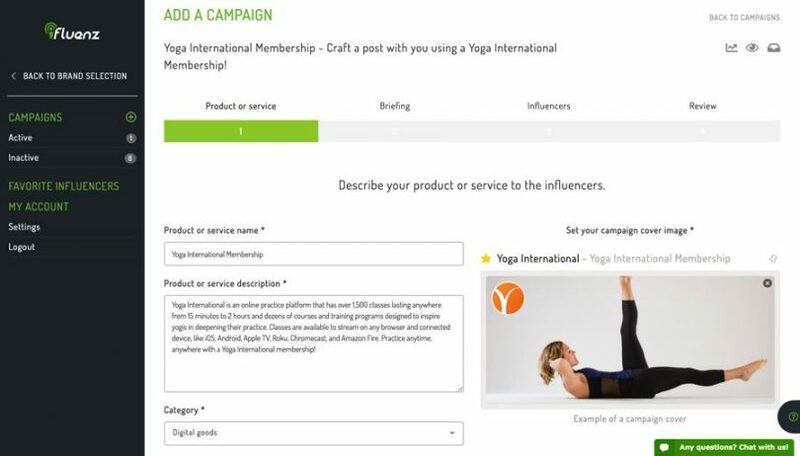 For smaller businesses who are looking for an affordable, effective way into influencer marketing, the self service marketplace may just be the right fit for you. Ifluenz is a pay-as-you-go service. There’s no monthly fee and no subscription is necessary. 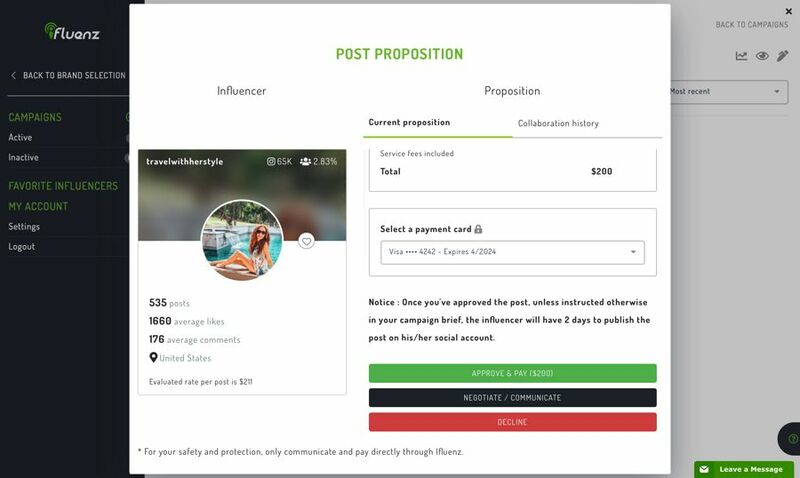 You can sign up for free and create a campaign brief in a matter of minutes; what you spend is dictated by how much you pay the influencers you work with, plus a 15% commission that Ifluenz takes for each payment processed. Paying an influencer $100 to post a pic to Instagram? That’ll cost $115 in total. While we've taken other platforms to task for fees that come in even at 10%, this is mitigated by the fact there’s no fee for a subscription. For small businesses, who are likely to run lower budget campaigns on an irregular basis, this is no big deal; annual marketing budgets under $10,000 will spend no more than $1,500 in fees comparable to other platforms (which charge subscription AND payment fees). And for larger brands or agencies that commit to at least a $10k spend get that fee drastically reduced to 5%. As I said in the intro, Ifluenz isn’t doing anything new here—but they are doing it well. One of the things that I really like, surprisingly, is that there is no influencer search function. Again, I’m thinking in terms of a small business use-case with the platform, but to get even more specific: family-owned-business small. People who are running their own business with minimal staff and are basically their own marketing department. These kinds of people have a lot on their plate, and searching for the right influencer can be time-consuming. It’s a rabbit hole of indecision, especially if you’re not really an expert. Which influencer would be best? Who can say? Who has the time to figure it out? 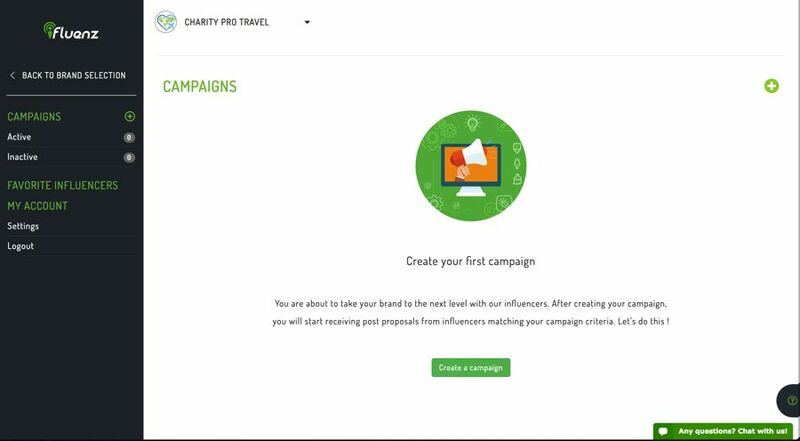 With Ifluenz, you skip all that and just start creating campaigns as soon as you’re logged in. The simple and attractive interface guides you through the process. There’s no need to read any help files, and nothing on the screen to distract you from each step. You log in, complete your business’s profile, and then you’re walked through the campaign setup process. Putting together the brief is beyond easy: you just fill in the blanks. What’s the campaign going to be called? What’s the goal? What category is your business? 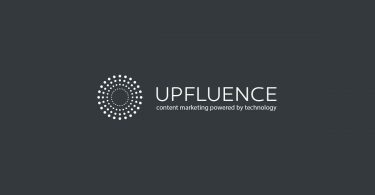 What are your criteria for the influencers? 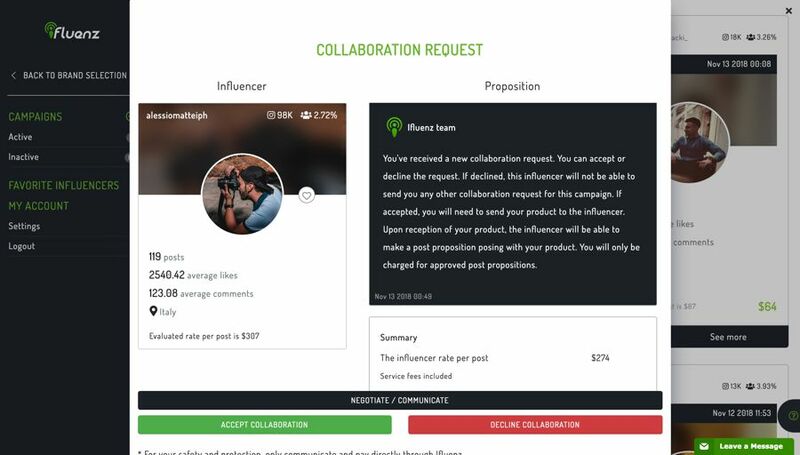 In five to ten minutes, you’ll complete the brief and once it’s submitted, influencers matching your requirements will see the brief pop up in their Ifluenz feeds. They then contact you to with a proposal, and this turns out to be a pretty great way to find the right fit. You’ll actually learn much more about the influencers—and whether they’re a good match for your brand—just by observing how they conduct themselves in their proposal. 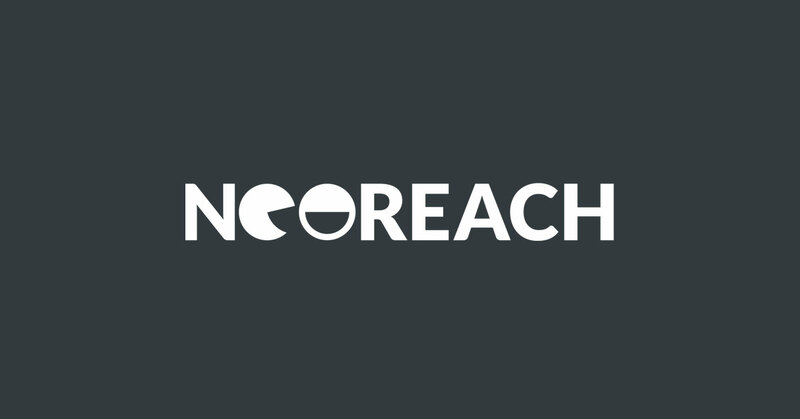 On the downside, there’s not a heck of a lot of data to see about them (just high level stats such as followers and engagement rates), and nothing about their audiences, so proposal process could drag on for the more meticulous among you: you’ll want to ask a lot of questions to find out more specifics. While the lack of data mostly isn’t a problem—there are other third party products that will help you out there, even on a small business budget. But there is one bit of data that I wish Ifluenz could more specific on: location. You can set one or more countries as a requirement for the influencer’s location, but you can’t drill any further down than that. Specifying that you only want to hear from influencers in the United States is like saying you’ll only eat cheeses made from cow’s milk. Sure, you got rid of goat, sheep, and buffalo milk varieties, but you didn’t really narrow anything down. A New Yorker has as much in common with an Iowan as Asiago has with Camembert. For retail businesses with an online shop this isn’t an issue, but for something like hospitality that’s an inherently local concern you’ll run into issues. One standout feature of the campaign creation process is the ability to upload pictures and create a mood board. You can use the images you upload in one of two ways. 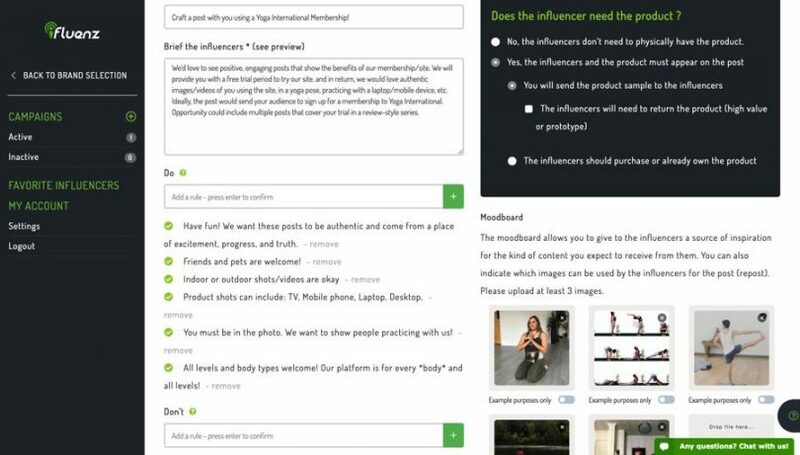 You can toggle a switch for each image that determines whether you want it to be just an example of the style you’re looking for, or an image that an influencer can repost. Set as example, these pictures are literally worth a thousand words, and that’s a thousand words you won’t have to type to explain what you’re looking for. If you’ve flagged an image as repostable, that’s a neat way to amplify past content that you know has performed well (and it’s also cheaper than commissioning a new piece of work). A really thoughtful touch to this use is that you can also set a limit on how many times it can be reposted—if 50 influencers all post the same image that’s hardly an authentic experience. If you set the limit to 5, the image is no longer available after the fifth influencer claims it. After the influencers post their content, you’ll get the bare minimum of data to see how it went: the total of Likes and Comments, the engagement rate, and the cost per engagement. 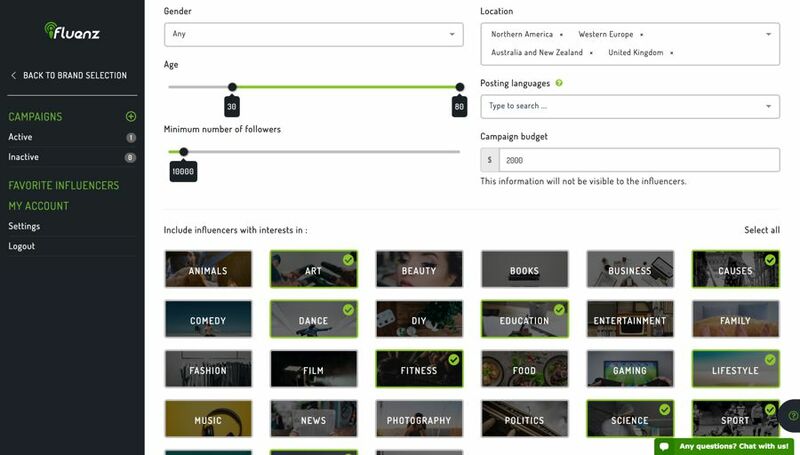 Again, this is probably enough to for the average small business, which probably won’t be using influencer marketing for vague goals like “building awareness.” Used for more tangible goals, like selling a specific product or driving e-mail subscriptions, then a lot of that data isn’t necessary to know the campaign went. If you hit your targets, then it was a success. The past few years, as influencer marketing grew into a necessity, small businesses have consistently found themselves on the outside looking in. The best platforms were incredibly expensive, and the most affordable marketplaces still weren’t worth the money they were charging. Ifluenz has come at the problem from a different angle, stripping away a lot of costly, processor-hungry features like AI and data-scraping algorithms. 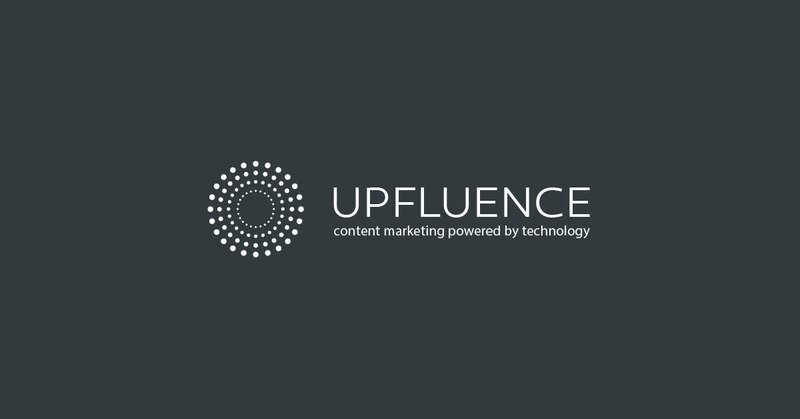 They’ve distilled influencer marketing down to its barest essence, and the platform is all the better for it. There are still a few things I’d like to see them address—getting more specific on location would be a great start. And if they really want to appeal to businesses of all sizes, they'll need to add many new features. Which would be a shame if they did, because that would end up being at the expense of smaller customers. It's hard to be all things all people, and as it stands they have a chance to carve out a niche for themselves by really targeting small businesses. If you’re spending under $10k on your influencer marketing budget, though, Ifluenz is well worth the cost.